Made in a 2 qt pan. Grind in food processor. Press crust into pan until evenly packed down. Mix in food processor until creamy, which should take a little bit of time. 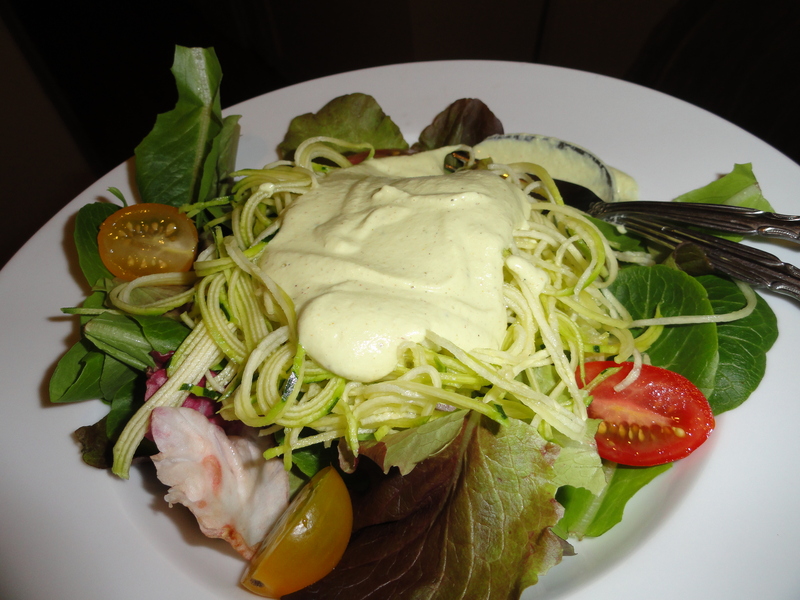 Zucchini pasta with cashew alfredo sauce. Yum!